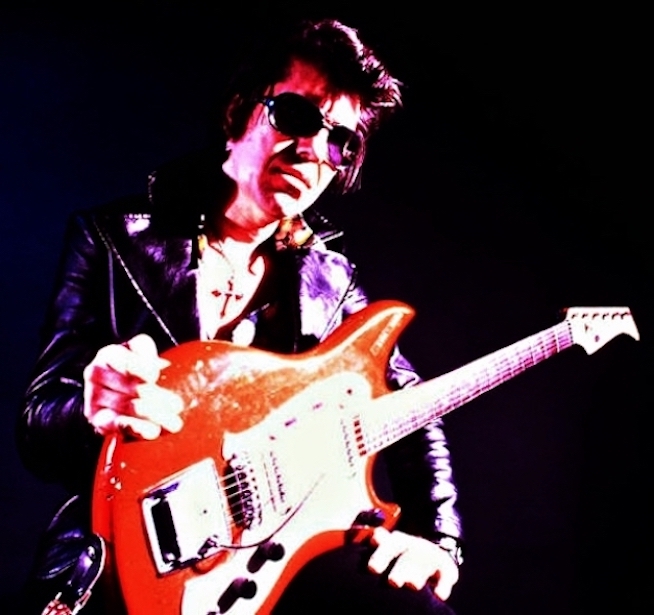 EXCLUSIVE LINK WRAY TEE SHIRTS! LAST CALL FOR THESE SHIRTS! ONCE THEY ARE GONE, THERE WILL BE NO MORE! These black shirts are pre-shrunk and made from 100% HEAVY COTTON. Shipping is INCLUDED in the price. Link and his iconic Screamin’ Red guitar. The multi color design is silk screened on the front of the shirt. The design measured approximately 9 inches around. We have XXL and XXXL shirts left. Sorry, the rest are gone. CONTACT US if you need an double-XL or triple-XL shirt and we will send you an invoice. The price is $29.99 shipped in the USA. Overseas shipment costs vary from country to country - but it is expensive. You should figure on $20 shipping - or more. Let us know your country and we will send an invoice.